You can’t log onto Facebook and Twitter without seeing at least one post telling you about the damage we are causing to the ocean environment with single-use plastics. We are also becoming more aware of the damage that lost fishing equipment known as ghost gear is also causing to our ocean world that we love so much. Thankfully we as divers are in a fantastic position to be able to make a difference to this! 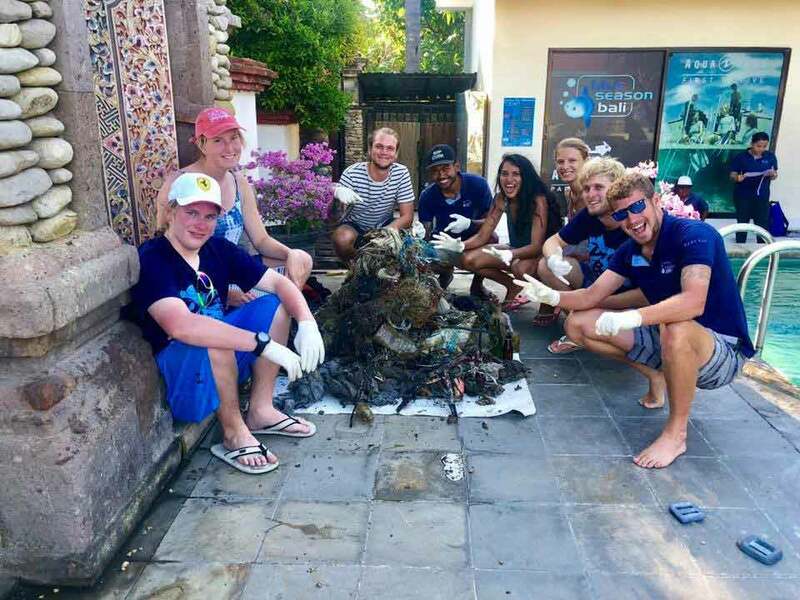 Here at Blue Season Bali our recreational and professional team does everything they can by completing Project Aware Divers Against Debris dives monthly on our adopted dive site Jetty hear in Bali at Padang Bai. During our PADI Divemaster program, we run workshops such as Search and Recovery where you learn how to complete search patterns and also how to use a lifting device such as a lift-bag. This is always a rewarding event and it is always shocking when we get back and sort through all -of the rubbish removed to complete our survey to Project Aware just how much plastics and fishing nets … also stupid items such as babies’ nappies that should never be found on a dive site, all of which is down to lazy dumping of these items into the sea. To date, we have recovered nearly 700KG of trash from our oceans! We as divers don’t have to take part in large cleanup dives, what you can do is simple, just pick up a couple of items every time you dive. Just look a busy dive site, how many divers are hitting the water that day? If every diver picked up 2 plastic items every day on every dive, that would be 1000s of items removed every day… if that happened on every dive site then we alone as divers would be making a HUGE difference. Fill your pockets! 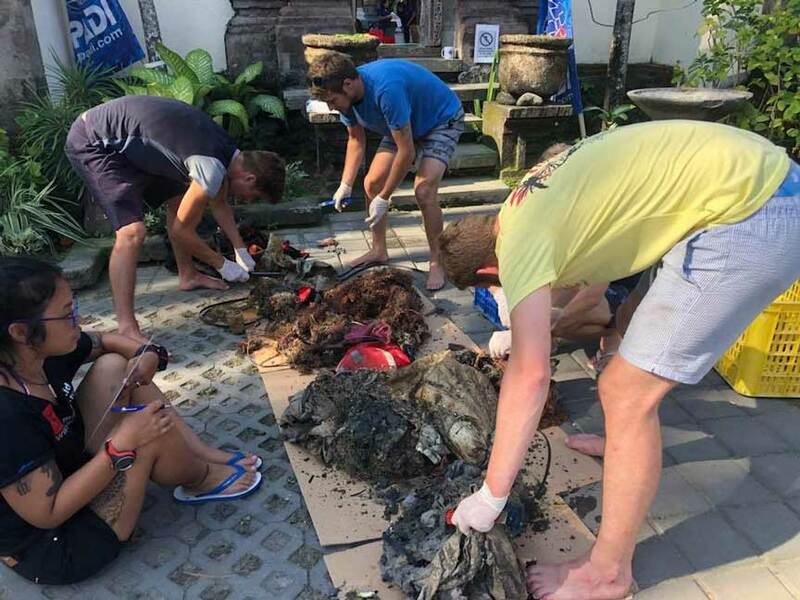 We take a lot of pride in raising awareness for Project Aware and all the events they do worldwide by running the Project Aware Specialities during both our PADI Divemaster Internship Programs and Also the PADI Instructor Development Course (IDC). Should you wish to get involved in our next clean up dive or even learn more about Project Aware please get in touch!